Not only do all the rugs in the Royal Nomadic collection come in a range of sizes and beautiful designs, they are also made with a wonderfully thick, dense pile which feels luxurious under foot. If you are furnishing a modern and contemporary space, pairing the red and beige chevron rug or the red and brown striped rug with some well-placed accessories and soft furnishings will create a stunning space. 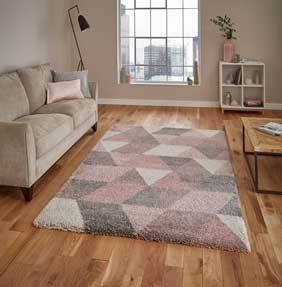 The quality of these rugs - although they are in the cheap rugs section – are incredibly high. The thick pile is hard-wearing and colour-fast so it will be the perfect addition for years to come.